The Jackrabbits programs aim for 12 coached sessions of 1.5 hours once per week. Note: Foothills Nordic reserves the right to cancel any group session with insufficient registrants. Normal minimum class size is five children. Participants will be given the opportunity to register in another program or receive a FULL refund in the event a session is cancelled. Jackrabbits Learn to Ski (L2Ski) provides older children who are new to skiing, or who have limited ski experience, with an opportunity to develop cross-country ski skills with similarly-aged and skilled peers. Upon completion of the Learn to Ski program coaches will recommend which level of Jackrabbits the child should join. Participants are expected to have appropriate ski equipment and winter clothing. Please see the equipment and clothing information for details. Foothills Nordic is able to run high quality programs for reasonable cost, due to the volunteer support of our families. ALL Jackrabbit parents will be required to signup to assist with minimum two (2) program activities / three (3) for families with 2 or more children in program (weeknight coach support for Bunnies/Group Monitoring for Jackrabbits, parking or snow grooming support). 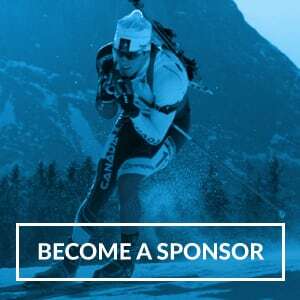 We also require volunteer support for weekend events – Terrain Nights, Family Ski Days, Cookie Race). A full signup list with details on volunteer jobs, will be available and communicated before the first on-snow sessions.